Soak almonds in water for about an hour or so. Julienne slice the onions and garlic. You can use yellow or white onion as well. Julienne slice the tomatoes as well. Peel the potatoes and cut them into bite size pieces. Place the potatoes in a bowl of water. Roughly chop the fresh methi leaves. Heat about 1 tbsp oil in a pan. Add sliced onions, garlic, red chilies and green cardamom seeds. Saute until onions soften and turn slightly brown. Next, add tomatoes and saute until tomatoes turn soft and mushy. 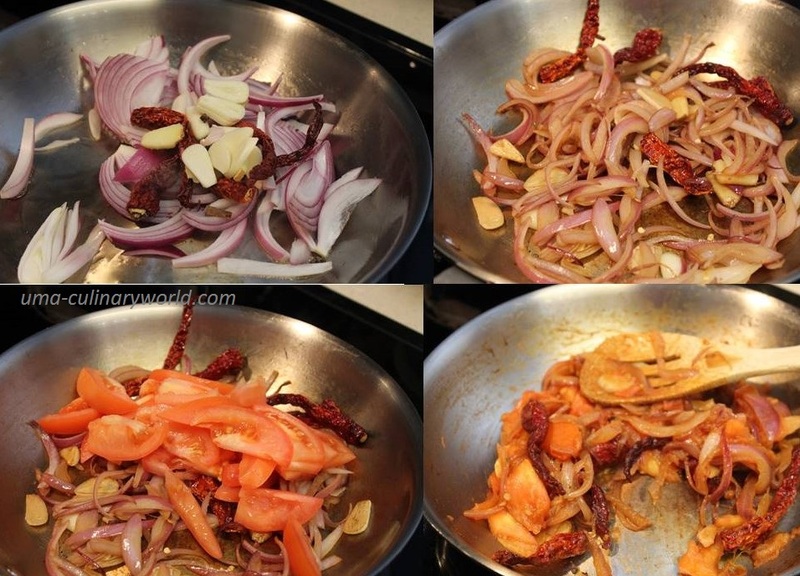 Blend the cooked onions and tomatoes with 1/2 cup water in a blender to a smooth paste. Set the onion tomato paste aside. Also, blend soaked almonds and yogurt in the blender to a smooth paste. Save it for later. Heat about 1 tbsp oil in a pan. Add the cubed potatoes and saute until potatoes turn golden brown. Now, add methi leaves and saute until methi wilts. Cook it covered at low heat for 2 - 3 minutes. 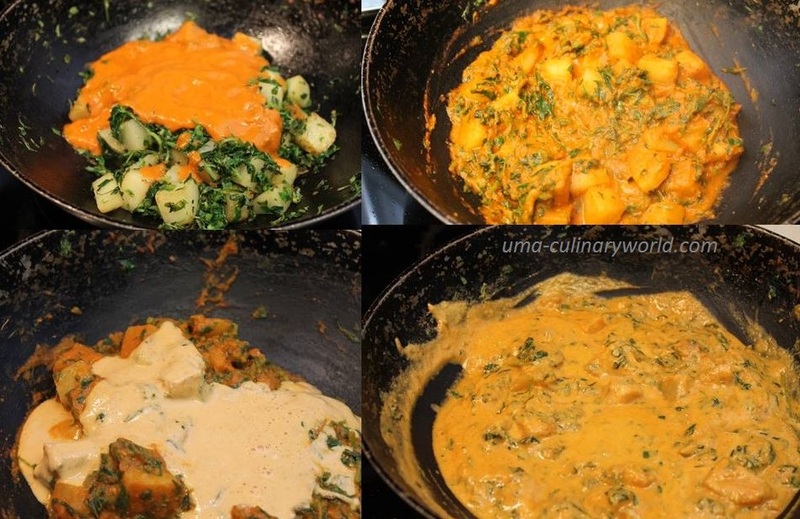 If you are not a fan of methi, you can cook the same recipe with spinach (palak) or kale leaves as well. Next, add the onion tomato paste and cook it covered until potatoes are fully cooked. Prick the pototoes with a fork and check if its soft. Lastly, add the almond yogurt paste and salt. Stir and cook it covered at low heat for 5 minutes or until you get the desired consistency. Add little water if required. You can add a pinch of Garam Masala (or any other seasoning) along with salt, if you like. Serve hot Aloo Methi Masala with Naan, Roti or Rice.